A tense psychological drama and a taut emotional thriller exploring love, obsession, and the deceits that pull a family apart. Donald believes he knows all there is to know about seeing. An optometrist in suburban Boston, he is sure that he and his wife, Viv, who runs the local stables, are both devoted to their two children and to each other. Then Mercury - a gorgeous young thoroughbred with a murky past - arrives at Windy Hill and everything changes. 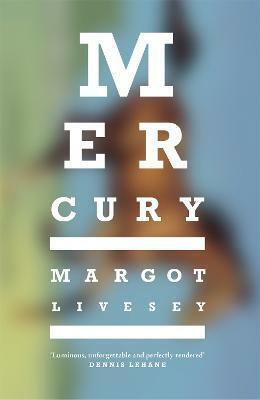 Mercury's owner, Hilary, is a newcomer to town who has enrolled her daughter in riding lessons. When she brings Mercury to board at Windy Hill, everyone is struck by his beauty and prowess, particularly Viv. As she rides him, Viv begins to dream of competing again, embracing the ambitions that she had harboured, and relinquished, as a young woman. Her daydreams soon morph into consuming desire, and her infatuation with the thoroughbred escalates to obsession. Donald may have 20/20 vision but he is slow to notice how profoundly Viv has changed and how these changes threaten their quiet, secure world. By the time he does, it is too late to stop the catastrophic collision of Viv's ambitions and his own myopia.